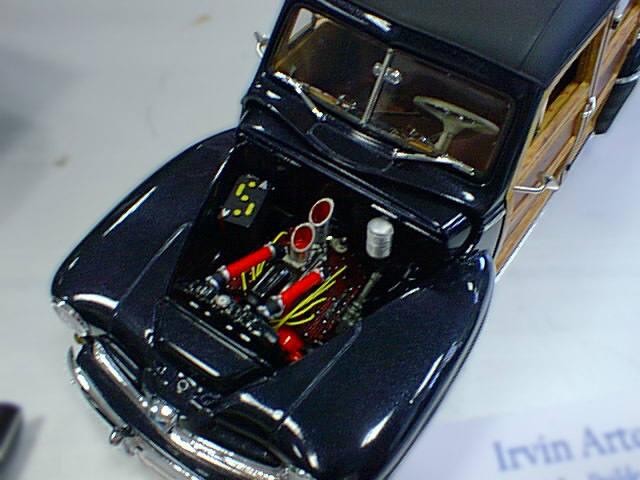 The basic engine is kit-issued, but Irvin hot-rodded it with a set of resin heads and an intake manifold from the Replicas and Miniatures Company of Maryland. Several other non-stock parts are of unknown origins, having been pulled from Irvin's parts box. He cut the intake stacks himself from appropriately-sized aluminum tubing. Bright yellow spark plug wires are about the extent of detailing beyond paint work.